I knew there would be more fun DIY Halloween Shirts. 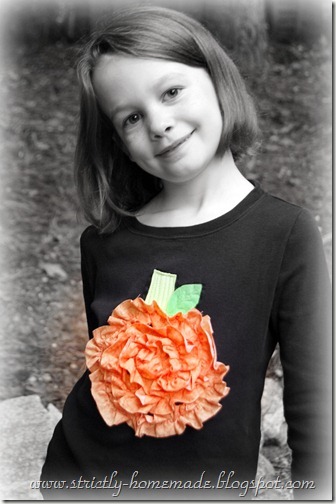 This adorable ruffled pumpkin shirt is a perfect mix of Halloween and ever popular ruffle. And if you want to reuse the shirt after Halloween, the tutorial will show you how to sew it all together so that it is temporary. But I have to say that this is cute enough I would find someone to give it to next Halloween. You can check out the tutorial for this cute ruffled Halloween shirt over at Strictly Homemade.